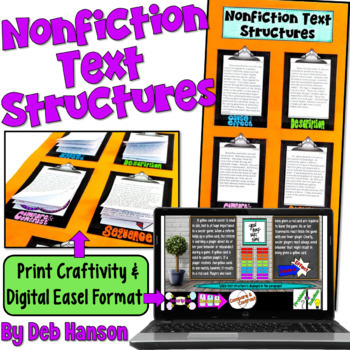 This nonfiction text structure bundle is designed to teach upper elementary and middle school students about the FIVE types of informational text structures in a way that will keep them engaged. It includes 92 nonfiction passages. 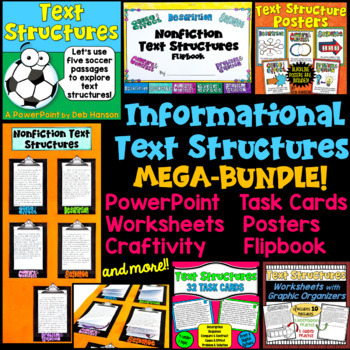 This Common Core bundle contains a wide variety of text structure activities! 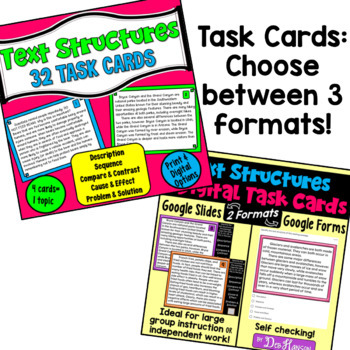 As an added bonus, I created 10 days of LESSON PLANS that outline how and when I use each of the included resources! You don't have to follow the lesson plan format I provide, of course, but it might be helpful in providing a bit of direction for you. 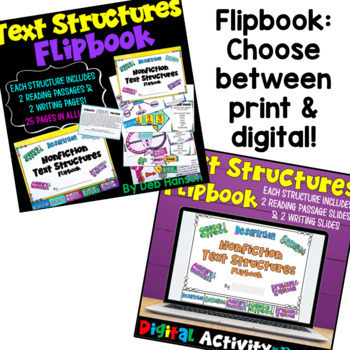 I invite you to check out the preview of each individual resource!